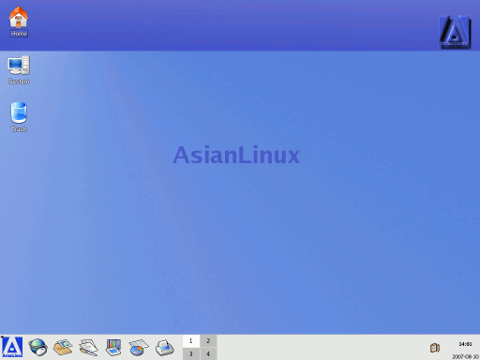 AsianLinux was an Indian Linux distribution which aims to promote Linux and open source. Based on Fedora Core, it comes with several enhancements, as well as additional multimedia and development tools; these include Firefox with Flash, Java Runtime, Kaffeine and Real Player plugins, various graphics manipulation applications, and CAD design software. Rate this project BlackArch Linux is an Arch Linux-based distribution designed for penetration testers and security researchers. The project has released a new snapshot, BlackArch Linux 2017.11.24, which contains several updates and more than 50 new packages. 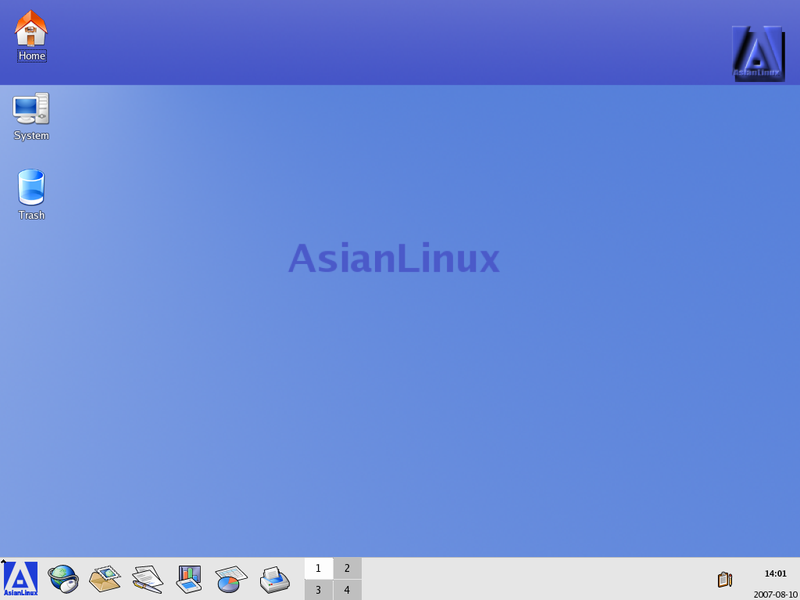 The project's blog page lists recent changes: "Today we released new BlackArch Linux ISOs. For details see the change log below. Here's the change log: added more than 50 new tools; various clean-ups and tweaks; updated BlackArch installer to version 0.6; included kernel 4.13.12; updated all BlackArch tools and packages; updated all system packages; update all window manager menus (Awesome, Fluxbox, Openbox). We wish to thank all of BlackArch's users, mirrors, and supporters. Thanks for your help." This is the first version of BlackArch to drop support for 32-bit x86 packages. 64-bit builds for x86 computers and ARM images are still available. The latest BlackArch Linux double-sided DVD image, as well as a much smaller "netinst" file, are ready for download (SHA1) from one of the project's download mirrors: blackarchlinux-live-2017.11.24-x86_64.iso (7,580MB, pkglist, torrent), blackarchlinux-netinst-2017.11.24-x86_64.iso (500MB, torrent). 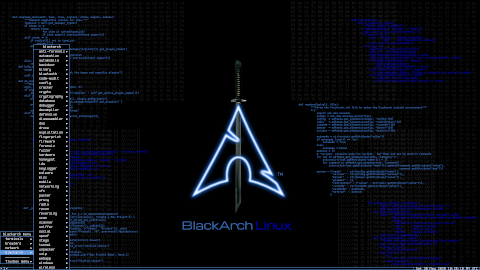 A new version of BlackArch Linux, an Arch Linux-based distribution with a collection of over 2,800 penetration-testing and security tools, has been released: "Today we have released a new BlackArch Linux ISO and OVA images. Here is the changeLog: added more than 150 new tools; enabled wicd service by default; removed dwm window manager; removed wmii window manager; added bactl package (script to configure and set up BlackArch environment); included every tool of BlackArch except: cuda-/oclhashcat, vmcloak, theZoo; included Linux kernel 4.19.4; included wordlistctl; updated BlackArch installer to version 1.0.3; updated default ISO files (synchronised with archiso's template); package QAs (runtime checks) were performed prior the ISO image build; updated all BlackArch tools and packages including configuration files; updated all system packages; updated all window manager menus (Awesome, Fluxbox, Openbox); re-added multilib." Visit the project's blog to read the full release announcement. The BlackArch ISO image has grown to over 10GB, so it's suitable for USB media or VirtualBox, but the project also provides a small "netinst" image for network installation. Download (SHA1), pkglist, login: root, password: blackarch): blackarch-linux-live-2018.12.01-x86_64.iso (10,627MB), blackarch-linux-netinst-2018.12.01-x86_64.iso (623MB).